When you run a auto service and repairs business, you know it’s very important to generate new customer bookings and make sure your order book is full. 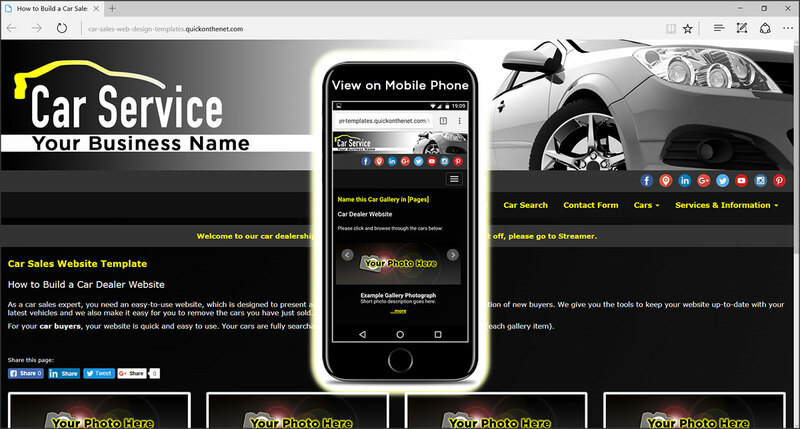 You need an easy-to-use website, which is designed to give a professional overview of your automotive services and attract the attention of new customers. We give you the tools to keep your website up-to-date with your motoring services; and we also make it easy for new customers to contact you directly, using a car service booking form. Designed by professional designers, your website already includes a stylish car logo, or if you prefer, you can add your own business logo. Breakers yard and car scrap valuation. This website is geared towards raising the profile of your car services and driving up sales at your business. When using the ‘own domain’ upgrade, our automobile websites enjoy excellent performance on all of the major search engines, including Google, Bing (a.k.a. MSN or Live Search) and Yahoo.